The court in the eastern city of Lahore, the capital of Punjab Province, sentenced Tereza Hluskova on 20 March. Meanwhile, smuggling a 10-kilogram batch of heroin means the death penalty in Pakistan, but Hluskova, who carried slightly below the mark that is mentioned in the country’s legislation, was given a prison term, which, according to the model’s lawyer, Sardar Asghar Dogar, she is determined to appeal. 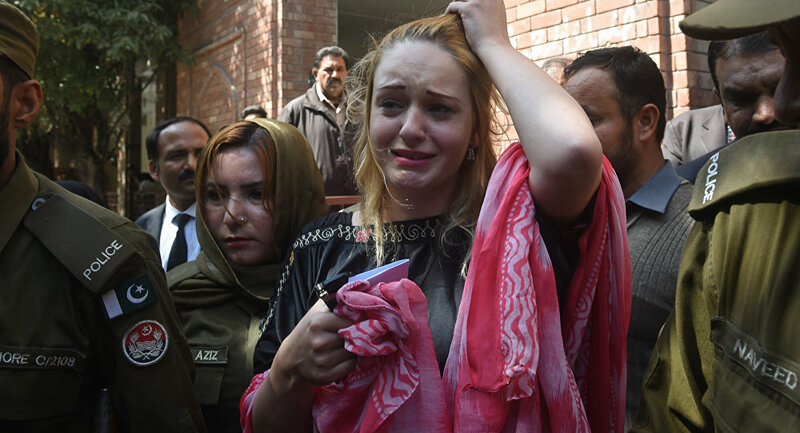 Hluskova noted to investigators that she came to Pakistan to work in the modelling business and that she didn’t have the foggiest idea who put the drugs in her luggage when she was preparing to board her Ireland-bound plane in Lahore’s Allama Iqbal International Airport. “They gave me something for luggage, three statues or something”, she noted in the footage of her arrest that circulated online, referring to those who — she said — stashed drugs in her bags as “they”. “They said it was gifts. I didn’t know there was something inside”, Hluskova claimed.